Over the years of teaching our kids, I have tried many different methods and techniques to make our school productive. It has been a learning time for me, and the Lord taught me many things along the way. 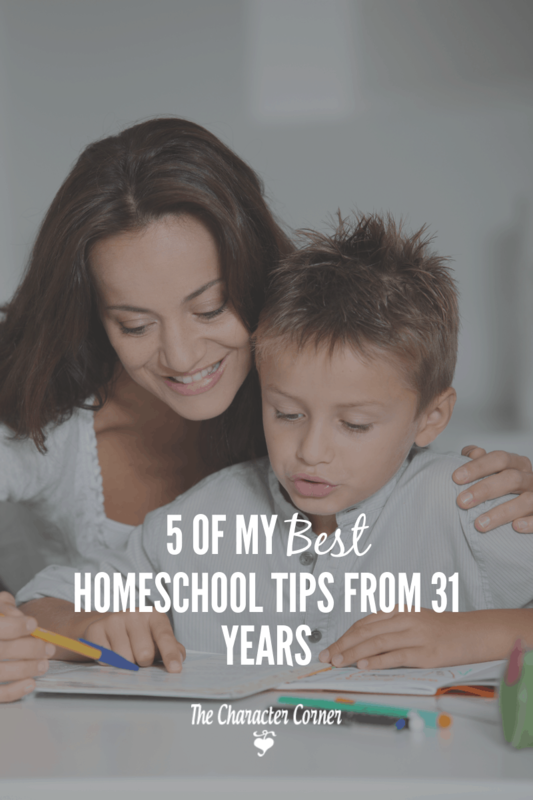 I’d like to share 5 of my best homeschool tips that kept me going strong for 31 years of homeschooling. 1. Find a friend to encourage you! Probably one of the BEST things that happened for our homeschool was finding a family that was like-minded, and shared many of the same values as us. First of all, it was a great encouragement to ME to have a friend that I could talk to. She had kids about the same ages as mine, and was also homeschooling. We had so much in common that we really clicked. This friendship helped me get through some of those “I can’t do it any longer” days. We encouraged and supported each other. Another equally important benefit is that this friendship gave my kids some friends! We started doing field trips together, getting together for play days at the park,preparing programs that the kids did at the nursing home, etc. Our kids NEED friends, and contact with other kids. For them to be happy in their homeschool, they need homeschool friends with the same values. Moms, WE also need friends, to encourage us when the going gets rough. 2. Get and stay organized! Your homeschool is only as organized as you are, Mom. Our kids don’t have the self-disipline to organize their day and plan their school work. God put US in charge of that. However, we can’t teach our children to be organized and have self-discipline when we aren’t a good example. We can’t get frustrated with them for losing papers, and not getting things done when we haven’t set an example for them, or taught them the skills of organization and self-discipline. School charts were always my best friend. Each “student” had a chart with the subjects that they needed to do daily, as well as any chores around the house, or music practice. I would fill in their charts for the week on Saturdays, and on Monday morning they knew to look at their chart to see what pages, or assignments to do. They liked knowing what they would be doing each day, and sometimes they’d work ahead just to have some free time at the end of the week. Rewards for getting everything done for the week were a good incentive, as well, for those who weren’t quite as motivated. If you have little ones, it’s VERY important to plan their time and activities as well. I had older kids assigned to babies/toddlers for 30 minute segments of time to give me the chance to work with my early students who still needed my help with their school. I also planned the toddler/preschooler’s time with different activities to keep them from getting bored. Mid-morning I would have the school kids do independent work so I could spend 30 minutes to read to toddlers, play with baby, etc. Keeping their love tanks full really makes a difference. 3. Always inspect what you assign. Along with that I might add, assume nothing and assign everything! It’s easy to think that our kids will just do their jobs, or practice their piano. However, we have to train them to have initiative and self-discipline to do what they ought to do. 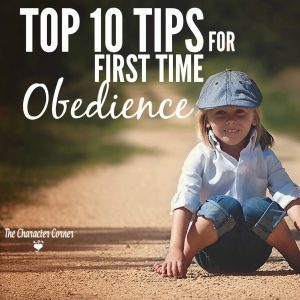 Part of training our kids is being faithful to follow up on what they’ve been told to do. When I forget, or get too busy to check their charts for a few days, I find they haven’t been doing everything. They need to know that we will follow-up, and that when we make assignments they better get them done. 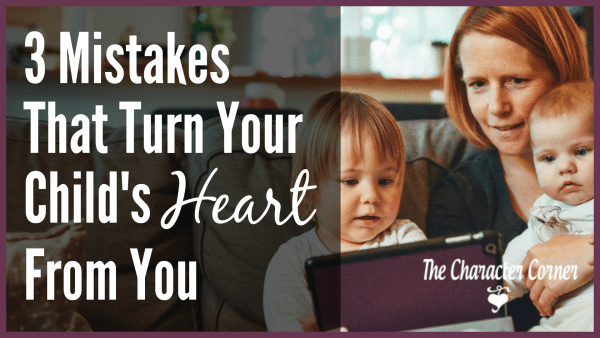 Probably the biggest mistake we make is hopping on the computer “just for a minute” while our kids are getting ready to start their schoolwork. Things are quiet, and we think they are working. An hour later when we end our “minute” online we go check on them, and find them in their room playing, or reading books, rather than working. We shouldn’t be surprised! They are kids, and need our supervision and our oversight. This kind of goes back to the last point. We MUST give our kids our undivided attention during school hours. This can be hard, as there are many things to distract us, or that we feel we must do right now. I suggest you turn the recorder on for phone calls, and turn your cell phone and computer off until school is done. This takes away the temptation to just get on there to check something “real quick.” It also conveys to your kids that school is important to you, and that you are there to help them do their best. 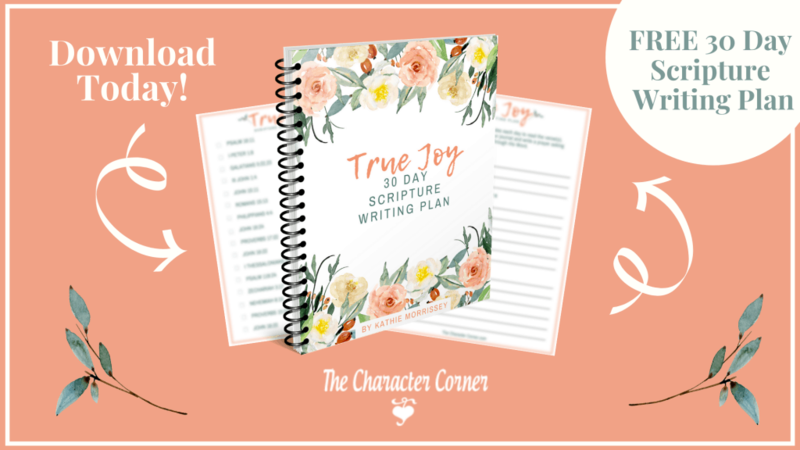 The years go by quickly, and we need to make the most of the time we have by focusing fully on the school work, while also working on character training. 5. Remember that the most important lessons you teach aren’t academics. Daily you teach your kids important lessons by the way you live– how you respond to them, to difficulties, to irritations, your attitude,etc. Our kids learn what is important to us by what it takes to upset us. What are they seeing? Moms, you are your child’s best teacher. No one else loves your children like you do, and no one knows them as well as you do. You are teaching ALL the time, not just when you are helping them learn academics. Academics will prepare them for life, but the lessons you teach them daily to build their faith and character are lessons of eternal value. 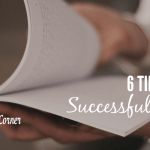 These are just some of the “secrets of success” that I have learned along the way. 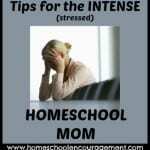 What are some of your best homeschool tips? 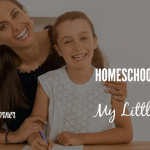 Get 60 homeschooling tips in this free ebook! 31 Years! Wow! Even with 11 kids, I’ll never be able to homeschool that long because I didn’t discover it until my kids were in school for a few years. Thanks for the tips! Be fully present, I struggle with this one. It is easy to just check one thing and then before I know it they are causing mayhem in the school room. They definitely need me completely there. Ana, I hear ya on that one!! 🙂 My kids often felt that if I wasn’t in there working with them, they didn’t need to be working either. These are great tips. I’ve been at this for 20 years, and you’re right about all of them! Thanks Laura! You’ve been at it for quite awhile – how much longer do you have? Thanks for stopping in! It’s always comforting to hear from homeschooling moms with so much experience. 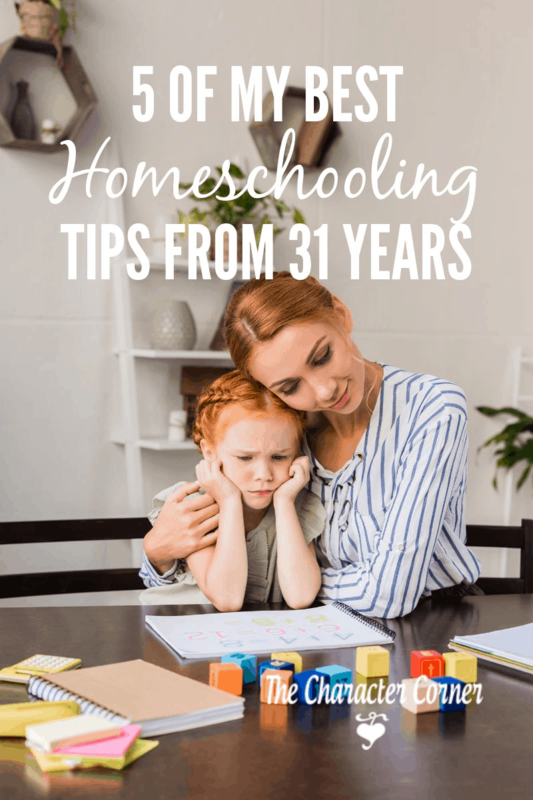 This is a great short list of homeschool tips. After seven years of homeschooling, my best tip would be to not worry about what the public schools are doing and avoid comparisons all the way around. Thanks Camie! You are so right – comparison is not wise. This is great advice! Thank you for sharing your years of wisdom with us moms behind you. Very encouraging! Great pointers! 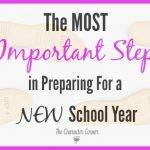 I just found a homeschool Mama friend this year and it truly is wonderful! Even though we have different teaching strategies and goals for our children, we are able to share and encourage each other. Being fully present is my biggest struggle, I have two young toddlers and have started working from home recently. Thank you for the encouragement! God bless!